You'll need to fuel up so you can sing and dance along! (SPOT.ph) It has been a great couple of years for music fans in Manila, with lots of your favorite acts taking the stage—in 2018 alone, we have Dua Lipa, Chance The Rapper, and Panic! At The Disco to look forward to. After the adrenaline rush of buying tickets, planning where to eat is probably the last thing on your mind; trust us, having a list of options will help. 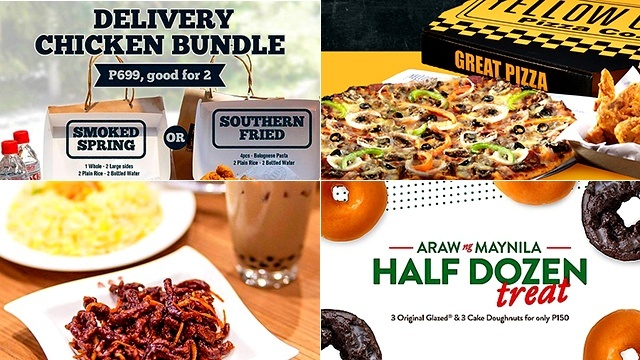 Here’s a quick guide to where you can eat near one of Manila’s popular concert venues, SM Mall of Asia Arena and Concert Grounds, whether you only have an hour or less to go or have lots of time to kill. Pressed for time? 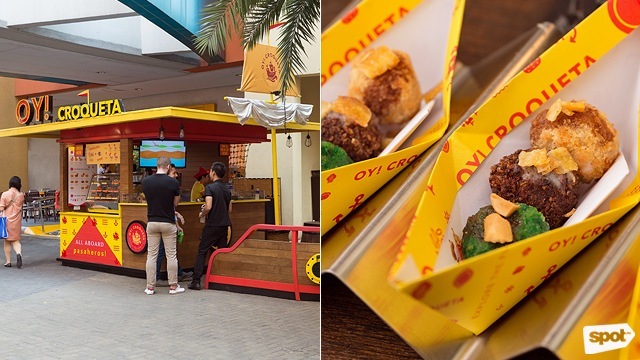 Look for the quirky boat-shaped food kiosk at SM Mall of Asia for some quick yet tasty bites. Croquetas are deep-fried balls that are popular in Spain and can be filled with almost anything—and at OY! CROQUETAS, they come stuffed with classic chorizo, lechon, and even rice. The Paella Croqueta, a golden-brown ball of rice, comes in three Pinoy-themed variants: Valenciana Pinoy, Adobong Pusit, and Lechon. An order of their sizeable Croquetas or the giant Croqueton should be enough to fill you up—plus, they come in cute and handy cardboard galleons so you can eat them on the go. OY! CROQUETA is at South Arcade, SM Mall of Asia, Pasay City. For those on a budget, Pepper Lunch is a reliable option. It’s tempting to go for the Beef Pepper Rice for the nth time—who can blame you?—but there are other tasty dishes to try like the Cheesy Curry Chicken Rice, with the cheese melting into the spicy curry sauce, making it extra rich. If you’re feeling adventurous, Pepper Lunch also has a line of pasta served on a hot iron pan. 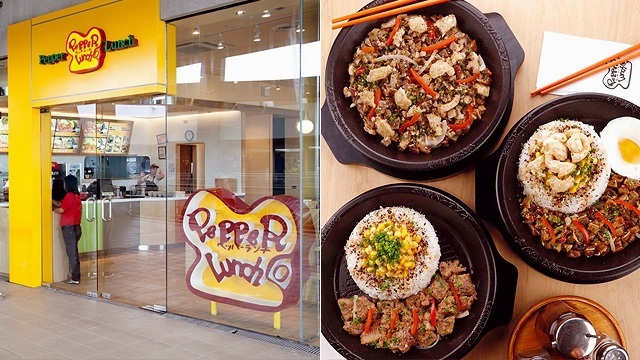 Pepper Lunch is at 2/F Entertainment Mall, SM Mall of Asia Complex, Pasay City. Masuki started in Binondo in the 1960s, which pretty much assures you that when it comes to Chinese staples, they know what they’re doing. The Original Mami is tasty enough on its own, but pour in the sweet-spicy asado sauce that’s served on the side and your bowl is transformed into something special, with the sauce adding a distinct savoriness that’ll keep you slurping. Have your noodles with an asado siopao so you’re full enough to sing and dance along at the concert later. Masuki is at G/F Main Mall, SM Mall of Asia Complex, Pasay City. It’s always best to fill up before a concert so you don’t get hungry in the middle of your favorite song, and it doesn’t get more hefty than Gringo’s chicken meals and rib plates. A quarter order of their Gringo Original Chicken already comes with your choice of two sides; for a spicy kick, have the Gringo Southern Spice Chicken. 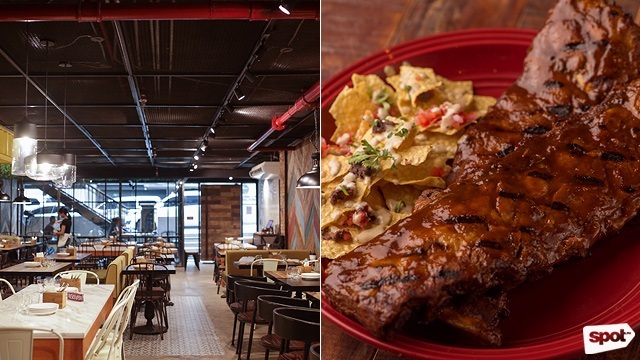 The Gringo Baby Back Ribs, fall-off-the-bone tender and glazed in a lip-smacking barbecue sauce are also a must-try. Out with your friends? Make sure to order their Nacho Grande, a platter of nachos covered in cheese, shredded chicken, beans, and a hint of lemon juice to round out the flavors. Gringo is at G/F SM Mall of Asia Arena Parking Building, SM Mall of Asia Complex, Pasay City. Filipino-food-with-a-twist is sure to pique anyone’s interest, and Chef JP Anglo’s offerings at Sarsa are always worth checking out—the chef is known for being creative with Filipino staples (who can forget his sinigang wings?). His newest menu additions are different variations of batchoy inspired by Asian cooking techniques. A stand-out is the Batchoy Ramen, which combines the usual batchoy ingredients like miki noodles, beef loin, and pork cracklings with tonkotsu broth and grilled pork belly. They also just launched a special Sarsa Halo-Halo for those still in a summer mood—each tall glass is a treasure trove of sweet treats with langka, chico, sago, gulaman, and nata de coco, and fried piaya as the cherry on top of this halo-halo. Sarsa Kitchen + Bar is at 2/F Entertainment Mall, SM Mall of Asia Complex, Pasay City. 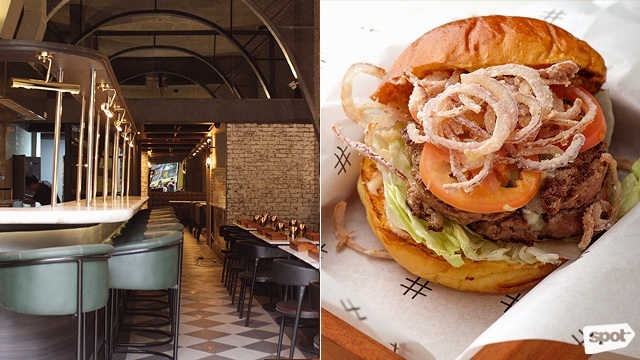 With their elegant, industrial-themed interiors, POUND lets you know that they aren’t your typical burger joint. 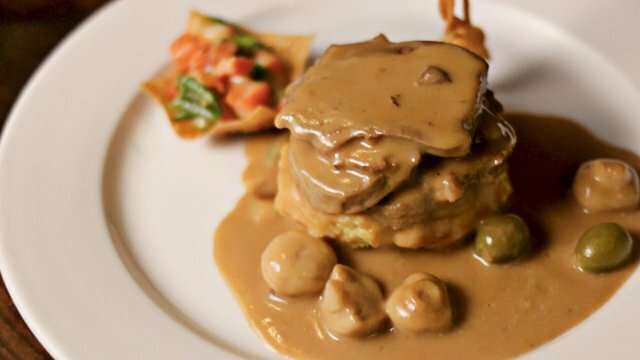 Their burgers are towering affairs, packed with the classic fixins and much more: Their signature T.E. Burger has iceberg lettuce, tomatoes, mustard relish, a mound of crispy onions, a tangy T.E. sauce, and a hefty beef patty sandwiched between brioche buns. A slightly unusual but rewarding choice is the Amsterdam, a sandwich packed with a whole range of flavors—sweet and slightly tart from the sauerkraut, smoky and a little spicy from the pastrami, and a bit nutty from Gruyère cheese. At POUND, they also don’t hold back on the truffle oil, especially when it comes to their sides: Choose from the velvety Truffle Risotto Tater Tots or the crisp Truffle French Beans. POUND by Todd English is at G/F Main Mall, SM Mall of Asia Complex, Pasay City. 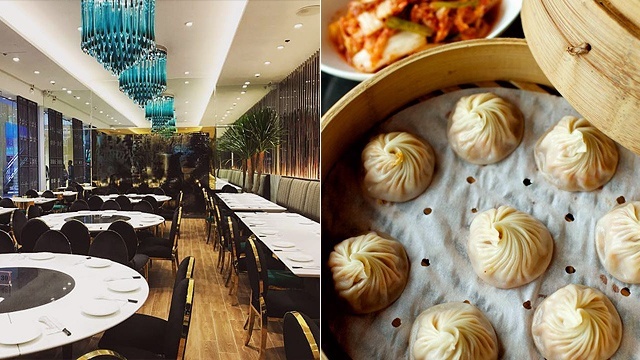 This Taiwanese restaurant may be known for their xiao long bao, but they also have other equally noteworthy dishes. 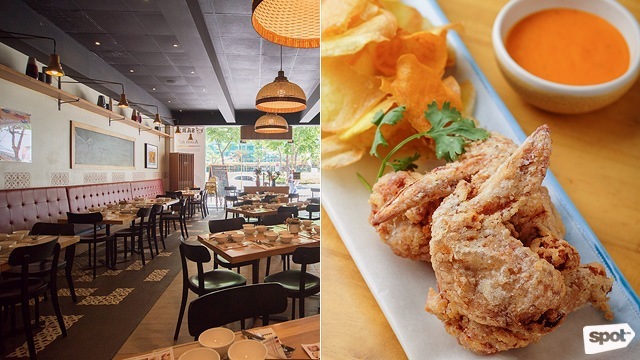 If you’re in a bit of a hurry, go for their set meals like the Taiwanese Fried Chicken Drumstick Rice Set with Taiwanese-style fried chicken seasoned with the traditional five-spice or the Taiwanese Stewed Pork Set, which will get you a hearty bowl of savory pork plus rice. But if you have time to spare, have some of their Taiwanese bestsellers, like the Three-Cup Chicken, Taiwanese Salt And Pepper Shrimp, and Fried Rice With Pineapple. Lugang Café is at G/F Main Mall, SM Mall of Asia Complex, Pasay City. 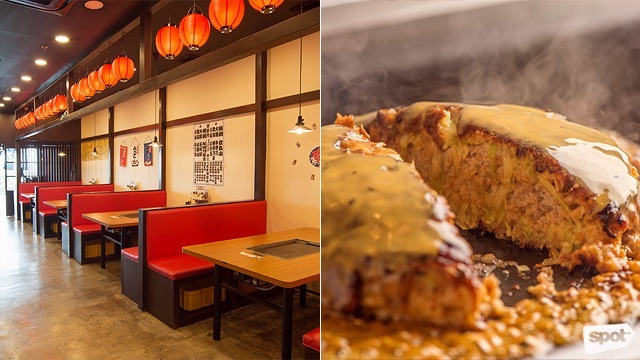 If you have time to kill, why not drop by this okonomiyaki restaurant? Their SM Mall of Asia branch features private rooms done in the style of a traditional Japanese dining area with low tables and cushions for the full experience. Aside from okonomiyaki or savory Japanese pancakes, you can also order other Japanese dishes that can be cooked on the griddle at the center of each table, like stir-fried, Hakata-style ramen with noodles, vegetables, nori, pork, and a drizzle of tonkotsu broth. Dohtonbori is at 2/F Entertainment Mall, SM Mall of Asia, Pasay City. You’re already going to your dream concert, so you might as well make the night extra memorable and treat yourself to good food. 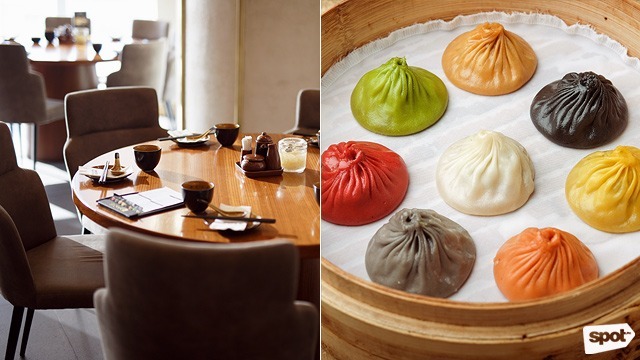 At Paradise Dynasty, the star is their Specialty Dynasty Xiao Long Bao, though you might as well call them ‘rainbow dumplings’ because they come in eight vibrant colors. Each dumpling represents a flavor ranging from Szechuan (red) and Black Truffle to Ginseng (green) and Cheese (yellow). The Charcoal Custard Lava Bun is just as picture-perfect with its rich dark hue, and is filled with velvety salted-egg custard. If your palate is craving something even richer, you might as well go all out and order the Crispy Fried Crystal Prawns with Salted Egg Yolk, almost golden from the rich egg-yolk sauce. Paradise Dynasty is at 2/F S Maison at the Conrad, SM Mall of Asia Complex, Pasay City. Pizza may be your go-to dinner before any big event, but Plank Sourdough Pizza isn’t like your usual. It all begins with the crust, made using sourdough and three different kinds of flour plus wild yeast, which is then baked in an Italian oven for precisely two and a half minutes—the result is chewy with a slight crisp and a whisper of smokiness. The Pizza Number 3 is the ultimate indulgence, with a pie topped with mushrooms, shrimp, salmon, capers, rocket, and lots of cream cheese. It’s a pizza chockfull of umami, but the char and slight tang of the crust still shines through. 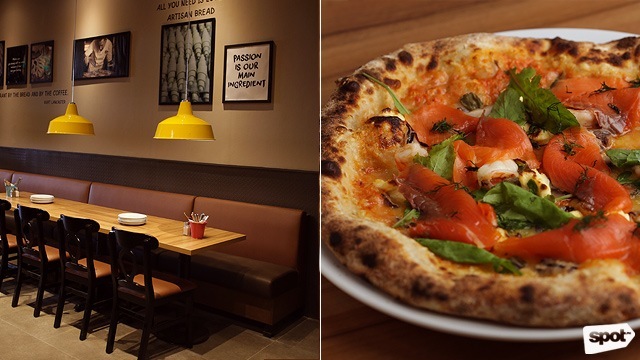 Plank Sourdough Pizza is at G/F S Maison at The Conrad, SM Mall of Asia Complex, Pasay City.